Woot! 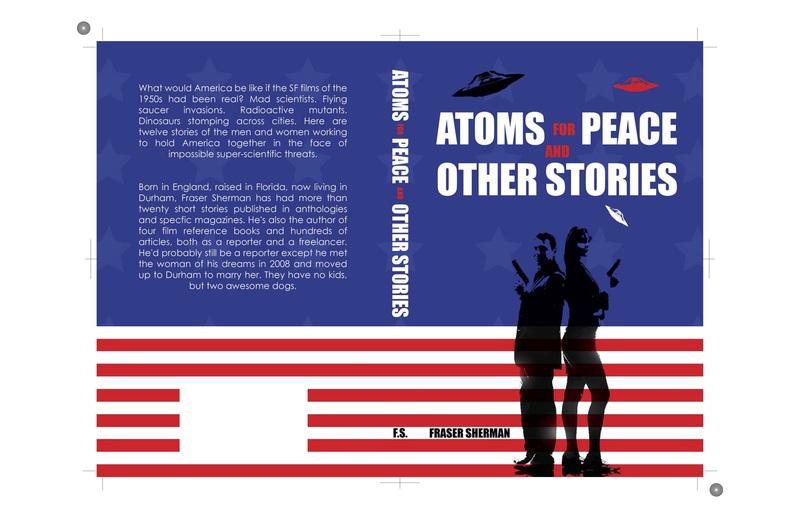 Atoms for Peace and Other Stories is available for purchase at Amazon in paperback and other retailers such as Barnes & Noble as an ebook. Unlike Atlas Shagged, the stories in this one are all tied together, part of an alternative 1950s in which movies such as The Day the Earth Stood Still, War of the Worlds, Creature With the Atom Brain, Beast from 20,000 Fathoms and Them! were all real. While I’ve covered most of the stories in early Story Behind the Story blog posts, I started this blog after the first story had come out. So here’s the odd tale of how the book and the first story came to be. Back in the 1990s, Clinton’s Secretary of Energy, Hazel O’Leary, declassified the reports about U.S. radiation experiments on unwitting patients (they weren’t told what the doctors were doing, or given an option to consent). That started me thinking (at least I think so, the exact chain of reasoning is a bit blurry after so long) about how that mirrored so many SF films of the 1950s, like I Was a Teenage Werewolf (and gives the lie to every How To Write SF article that declares mad scientists experimenting on innocent people could never happen in real life). And then it hit me: what would the US be like if those movies had been real? If by the end of the 1950s we’d been under attack by multiple aliens, radioactive mutants, pod people and reanimated dinosaurs? I liked it. But back then I had a day job, so The Brain From Outer Space took a long time to work on. Finally I had it in reasonably satisfactory shape around 2008 or 9. 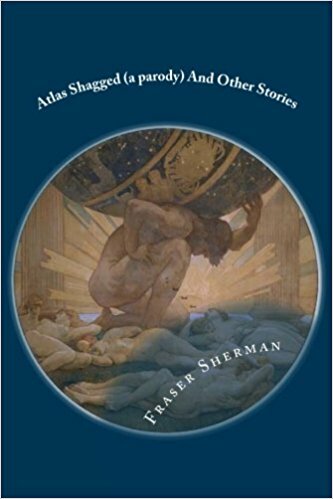 Then it hit me the first chapter, written to show investigators Steve Flanagan and Gwen Montgomery on a case and so introduce my world, worked pretty well as a standalone short story. So I tweaked it a little and sent it out. The Big Pulp website liked it and accepted it. Then they suggested I write a series of stories leading up to it, showing how my world came to be so different. I jumped at the chance. The stories are still up there, if you’re curious. Unfortunately some of the elements and relationships in the book no longer fit the backstory. I’d also discovered problems in the story that really needed fixing. 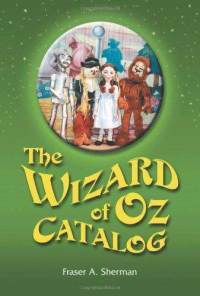 The book needed a major overhaul … and to date, I haven’t been able to fix it. But the stories are still worth it. The first story, Atoms for Peace, takes it’s name from the post-war slogan: sure, the a-bomb was terrifying but nuclear energy, turned to peaceful uses, was our friend! Wonderful things would come from it (check out the book Nukespeak for a look at the sunny nuclear utopianism of the era). The Atomic Energy Commission (now the Nuclear Regulatory Commission) was supposed to both regulate and promote the industry; it usually came down on the “promote” side and did its best to minimize the risks of radiation. It’s a good story and I think it’s a good book. It’s a lot whiter than I’d do it today (I hope), but I know from Southern Discomfort that simply switching some of my characters to black or Latino would take lots of work, especially in a world where segregation is still the norm. As I wrote this to reuse old work, not start fresh, I kept it as it was. Though I’m pleased with my female representation as Dani, Kate Meara, Gwen and Claire all get a good share of the adventure. I’ll have more to say about the book next week. Hopefully you’ll all have bought it by then.